PRIMERS, AM I EXPECTING TOO MUCH? Hi guys, I find myself being bombarding with new products on a daily basis, as well as trying to improve my skin care and there's always been such a hype about Primers so I thought I would give them a go. The idea of them is that they are meant to smooth out the appearance of your skin, make a perfect base for your foundation, minimise pores and ensure your make up stays put for longer. My problem is that I think I'm expecting too much from a Primer, I'm hearing they are "miracle workers" and that people can't live without them but I'm just not getting it. 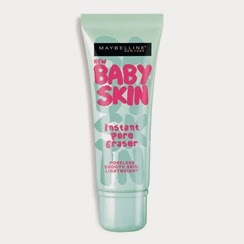 So I moved onto the Maybelline Baby Skin Primer, which unlike the Nivea one that felt like a weightless moisturiser this actually has a gel like feel to it that I thought would provide all the things it is guaranteed to do. It improved the longevity of my make up and slightly smoothed out my skin but that's all I've noticed so far. Just me?? 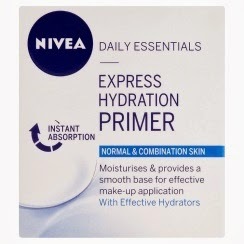 If you have any recommendations for alternatives to Primers please leave me a comment! !